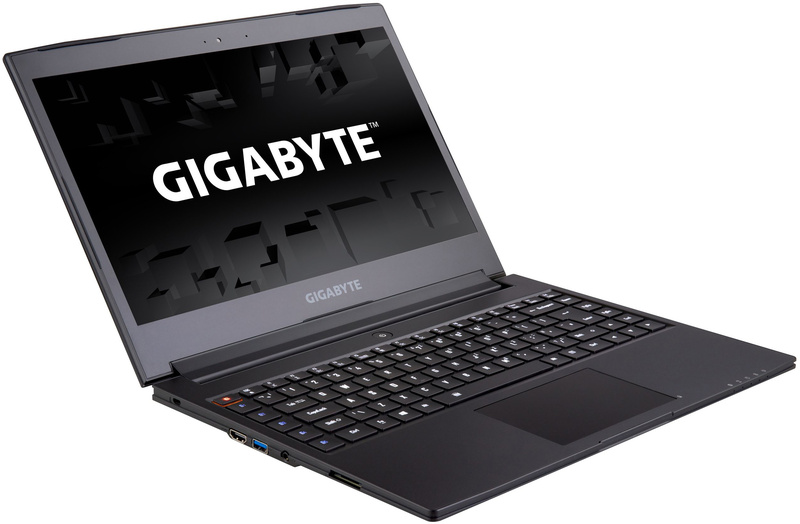 GIGABYTE has introduced an upgraded version of its Aero 14 thin gaming notebook, upgrading to NVIDIA’s GeForce GTX 1060GPU with 6 GB of GDDR5 memory. The system has similar specs and features as the model introduced back in June, but now it offers better performance in games and GPU-accelerated workflows. 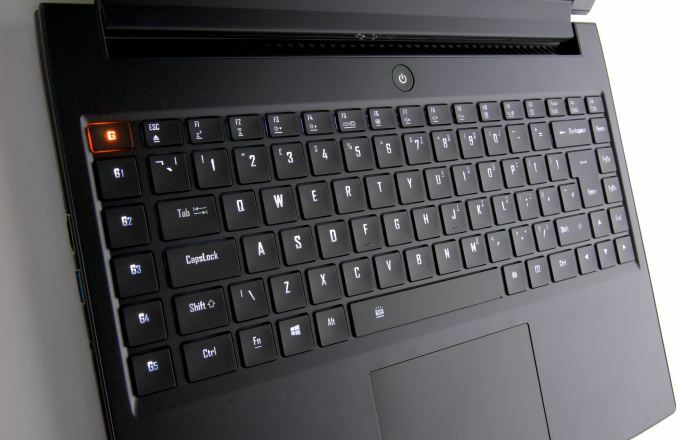 The GIGABYTE Aero 14 is among the thinnest laptops on the market today. The PC comes in chassis made of aluminum and plastic available with three color options for the display lid: black, green and orange. The Aero 14 is 19.9 mm thick, it weighs around 1.9 kilograms and is equipped with a 94.24 WHr lithium-ion polymer battery that provides a rated 10-hour battery life which is in-line with that of modern business notebooks. Display options for the notebook are limited to an IPS panel with anti-glare coating and 2560×1440 resolution. The internals of the new GIGABYTE Aero 14 remained generally the same as in the initial model since the manufacturer decided not to wait for Intel’s upcoming Kaby Lake-H CPUs, but has thrown in an NVIDIA GeForce GTX 1060 (1280 stream processors, 80 texture units, 64 raster operations pipelines) to be competitive against direct rivals such as the Razer Blade, which also comes with the GTX 1060 now. Since the new Pascal-based GPU offers considerably higher performance than its predecessors at the same TDP, it will significantly improve user experience during gameplay, especially when it comes to demanding titles, or uses less power for similar performance to the previous generation. Moreover, as NVIDIA is naturally phasing-out its Maxwell offerings, PC makers have to upgrade GPUs in their systems. Just like the initial model, the new GIGABYTE Aero 14 is based on the Intel Core i7-6700HQ processor (four cores with Hyper-Threading technology, 2.6/3.5 GHz 6 MB LLC cache, 45 W TDP, dual-channel memory controller, integrated Intel Gen9 graphics core) as well as the HM170 PCH. The system features 8 or 16 GB of DDR4-2400 memory (up to 32 GB is supported), and a single M.2 slot suitable for up to a 1 TB M.2-2280 SSD (PCIe 3.0 x4 or SATA interface) with up to 2 GB/s read speed. Meanwhile, I/O capabilities of GIGABYTE’s Aero 14 include a 802.11ac Wi-Fi + BT 4.1 wireless module, one USB 3.1 Type-C header, three USB 3.0 Type-A ports, a TRRS audio connector, an SD card reader, an HD webcam, built-in 1.5 W speakers and a microphone as well as an HDMI 2.0 and an mDP display output. Finally, to make the Aero 14 more appealing to gamers, GIGABYTE included a keyboard featuring five programmable keys to simplify input of complex key combinations. 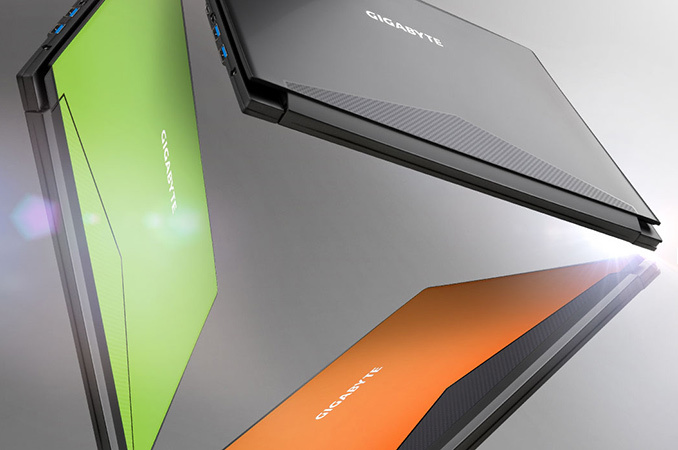 Pricing of the new GIGABYTE Aero 14 depends on exact configuration and location. For example, Amazon currently offers the Aero 14Wv6-GN4 laptop with the Core i7-6700HQ, GeForce GTX 1060 6 GB, 16 GB of DDR4-2400 memory (one module) and a 512 GB SATA SSD for $1699. Other configurations may be more affordable or expensive. In the meantime, Newegg is still selling the Aero 14 with the GeForce GTX 965M for $1349. *Many thanks to digiguy for corrections. That's one hella big battery... How? The MSI GS43VR has a 2.5 inch drive space, 14 inch, but only has a 61WHr battery. The MSI has a 2.5 inch drive bay. The gigabyte does not. I would love to see a quad core ultrabook with the new intel iris pro. The iris pro is more than enought capable and i know you can make the 4 core i7 run at a 35 tdp state. My 13" macbook pro has a 28W tdp dual core. It can't be hard to make a 1.5kg 13.3" with a full 4 core i7 for production use. And the iris pro ofcause. And with the new TB3 external GPU's it would make one hell of a machine. You could turn off all iGPU when docked and thus have more headroom for the cpu! WHEN! 1. What is the "G" icon that is lit up? Is that to turn the nVidia card off/on? 2. Is the USB-C connector used for charging? Or does this still require a separate/proprietary charging brick/connector?